I escaped winter this past weekend and enjoyed some sunshine + 70s weather in south Florida. My dad and step mom live in West Palm Beach during the winter, so I always take advantage of a little getaway. 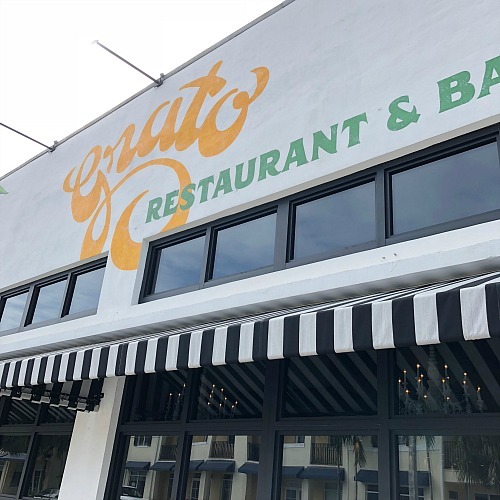 Sunday brunch at Grato Restaurant & Bar just a couple miles from downtown West Palm Beach was the perfect ending to my long weekend. Entering Grato, you're welcomed by a fun, fresh vibe and a menu that highlights bottomless bevis for $19. 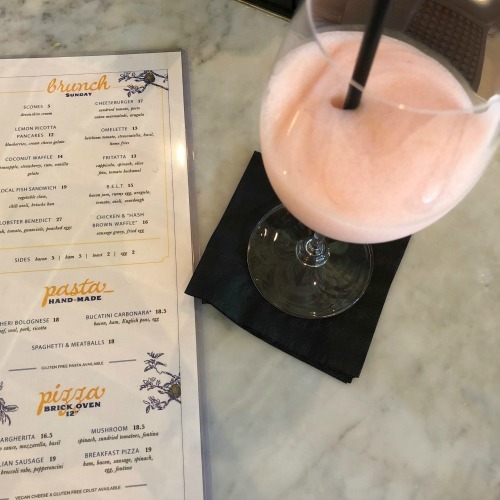 I opted for a frosé that was so good - the perfect slushiness consistency. Dad had the bloody Mary which I tasted - great mix that was peppery + spicy, just as I like it! To start, we split the fennel + citrus salad that was light and yummy. The salty pistachio and green olives were the perfect addition for texture and taste. The brunch menu had so many good options. 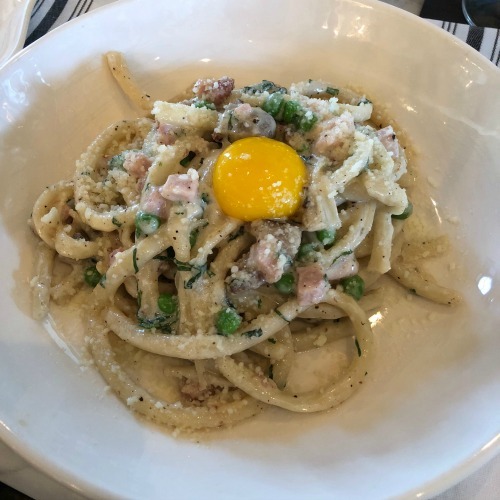 I decided on the bucatini carbonara with bacon, ham, peas, and a oozy egg yolk. I can't turn down a good (what I call) "breakfast pasta" and the smokiness of the bacon was so good. 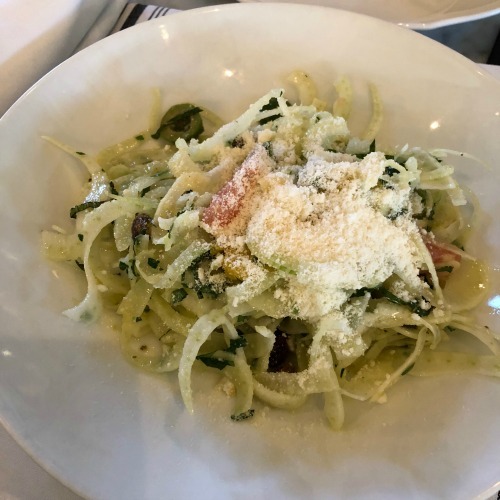 I also loved the bucatini noodles. 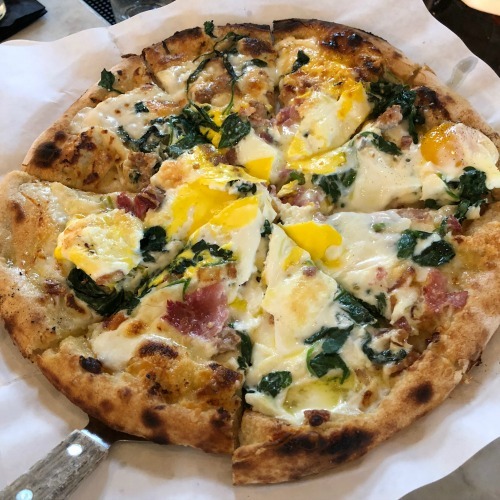 My step mom had the breakfast pizza that had slightly runny eggs, spinach, fontina cheese, ham + bacon AND sausage. I didn't have a bite but it looked amazing. There is a huge pizza oven at the restaurant so you know Grato is making pizza right! Dad got the mushroom + fontina omelette with perfect looking crunchy home fries. I didn't get a pic but he liked it! If we hadn't been heading to the airport, I would've loved to hang there and get more of the bottomless bevis - next time! Italian dinner at Cucina dell'Arte then stay for the dancing - this place is recently renovated! 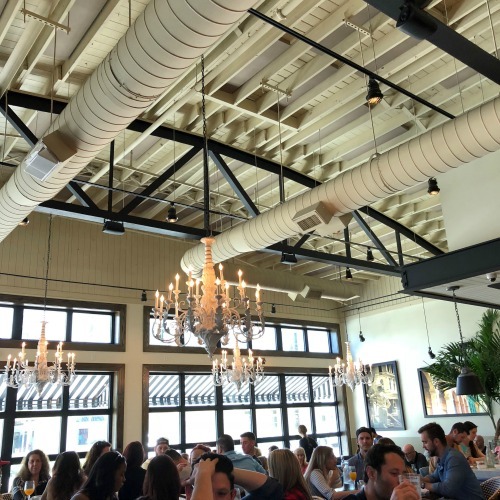 Spend an hour (or more) perusing the new Restoration Hardware on Okeechobee Boulevard while you wait for a table for lunch at their gorgeous rooftop restaurant. Find a beach or a pool, pick book, read + relax! 'Til next time, West Palm Beach!